Florida law recognizes several types of alimony. 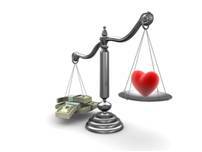 Which type or types of alimony are awarded depends on the individual characteristics of the marriage. Some factors a judge may consider are adultery, the length of the marriage, and the employment prospects of both partners. In Florida, the alimony payments must be decided on before the court awards child support. Temporary alimony: This type of alimony is awarded to maintain a person’s lifestyle while the divorce case is pending. As an example, a husband who worked and paid the household bills while his wife stayed home to raise the kids could be required to continue paying the bills until the divorce agreement is finalized. Bridge-the-gap alimony: This type of alimony is designed to help one of the parties get back on their feet and start supporting themselves after the divorce. It is generally awarded for a period of two years. Permanent periodic alimony: This is awarded if one of the parties requires indefinite support, and is generally awarded for longer marriages. The support usually lasts until the death of one of the parties or until the person receiving the support remarries or is living with someone who contributes financially to the relationship. Rehabilitative alimony: This is requested if one of the spouses needs time to acquire new job skills or education. This type of alimony requires a specific plan. Lump sum alimony: This is one large payment, which may be money, the marital home or other martial assets. The court will usually award this type of alimony if there is extreme hostility between the divorcing parties or if one of the parties is terminally ill.
Read the entire article at Florida Family Law: Alimony/Spousal Support. If you have any questions about the type of alimony you may be entitled to in a divorce, please contact our firm for expert divorce law counsel.